The booming outsourcing sector continues to be the biggest demand driver for office space in Cebu despite initial concerns of a slowdown. In its latest report, property management and research firm Colliers International Philippines concluded that the business process outsourcing (BPO) and knowledge process outsourcing (KPO) sectors in Cebu remain robust based on office transactions in the first half of 2018. A total of 58,000 square meters in office transactions were recorded from January to June this year. Of this number, 74 percent were for BPO or call centers and KPO companies which provide higher-value services such as medical coding, legal transcription, software engineering, and finance and accounting. Among the companies that occupied spaces in Cebu during the first half of the year are Shearwater Health, Cresco Shared Services, Convergys, Wipro, and Teledirect. These companies primarily provide healthcare, information technology (IT), and customer support services. “Overall, Colliers believes that Metro Cebu’s competitiveness as a desired BPO investment hub will be sustained as it serves as the gateway to the Visayas Islands. This is complemented by the completion of the new terminal of Mactan-Cebu International Airport,” said Dom Fredrick Andaya, Colliers International Philippines Director for Office Services. “Aside from being a manufacturing base, its economy is being propelled by the BPO industry. Both sectors are major contributors to office space take up in Metro Cebu,” he added. Initially, there were concerns that office space demand from outsourcing firms in Metro Cebu will slow down this year, similar to Metro Manila. These uncertainties were brought about by the shift to greater economic nationalism in the United States, led by the anti-outsourcing stance of the present administration; the perceived decline in the peace and order situation in the Philippines; and delay in the proclamation of Philippine Economic Zone Authority (PEZA) buildings, which enables tenants to apply for tax and non-tax incentives. Sought for comment on Colliers’ findings, the Cebu IT-BPM Organization (CIB.O) echoed that despite some concerns, the industry continues to grow. According to Wilfredo “Jun” Saa Jr., while they have noticed the industry starting to “mature,” it still continues to grow. “We can say that it’s not as fast as before wherein the growth was so high. We see some maturing of the industry which is normal because the population is huge. But now, it’s still there and we hope to sustain it,” he told Cebu Daily News. He said most of the existing players in the industry are expanding. But as for new and bigger players, there haven’t been a lot, except for Amazon which set up an office in Cebu this year. Aside from sustaining the industry’s growth, Saa said that CIB.O’s thrust now is also to cross over to the higher value services. Part of the group’s activities now are skills upgrading. Saa said they have started a pilot training for some senior high school teachers for coding and programming for them to cascade to their students. Following the BPO and KPO sectors, offshore gambling is accounted for the second biggest chunk of the office space transactions for the first half of 2018. According to Colliers, offshore gambling took up 14 percent of office space transactions. Colliers believes that offshore gambling has the potential to become a major plank of the Cebu office market. With a more conducive local regulatory environment, we expect offshore gambling to become a major contributor to office space take up in Cebu. The remaining 12 percent of office spaces sold were taken up by traditional and non-outsourcing firms. These include remittance centers, insurance companies, and educational services occupying space. On the other hand, overall vacancy for the second half of 2018 reached 8.9 percent. This is lower than the 9.5 percent recorded in the first half of 2018. 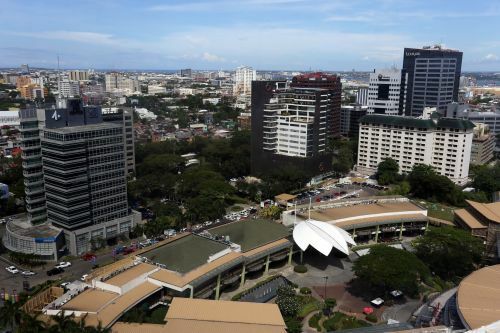 Data from Colliers showed that the Cebu Business Park (CBP) and IT Park recorded vacancy of between 5.5 percent and 7.4 percent while their fringes posted a vacancy of only 1 percent. Mactan’s vacancy declined to 5 percent due to strong leasing from the start of this year while Mandaue’s vacancy dropped to 30 percent. By the end of the year, Colliers expects Metro Cebu’s vacancy to hover between 8 percent to 9 percent. Colliers said they expect strong demand to continue especially with the CBP and IT Park being established IT zones.